Welcome to the Regency Grill, where you will enjoy an exceptional Southern Oregon dining experience with every visit. Each meal is crafted by our award-winning culinary master, Executive Chef Dale Fowler. We offer unique and mouth-watering entrees such as slow roasted Prime Rib, house made beer-battered fish ‘n chips, chicken, and steak and seafood specials and also gluten free and vegetarian options. The Regency Grill has something for all tastes. The Regency Grill is open 7 days a week from 6am to 9pm serving full breakfasts, lunches, and dinners. 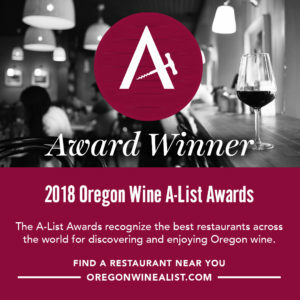 The Regency Grill is a favorite of locals and critics alike who appreciate innovative southern Oregon dining in a casually sophisticated atmosphere, and offers recommended beer and wine pairings for all menu items. We proudly highlight regional and Oregon microbreweries alongside Southern Oregon’s finest local wines.